Sparking a Shift in popular perception of the "differently abled"
Nick Roussos, author and public speaker, is available to come to your classroom, school, group, scout group, or service club. Roussos, a motivational speaker who, like Nick, grew up in East Africa and has cerebral palsy, presents the hero’s can-do attitude lucidly and in a way that kids should admire.The author’s message of assisting others comes through clearly, and his portrait of a skillful wheelchair-bound protagonist resonates powerfully. A clever story set in Africa with a likable hero and a strong message about helping others. I have known Nick since he was a young boy and have always been moved by his love of life, his courage, and his perseverance. 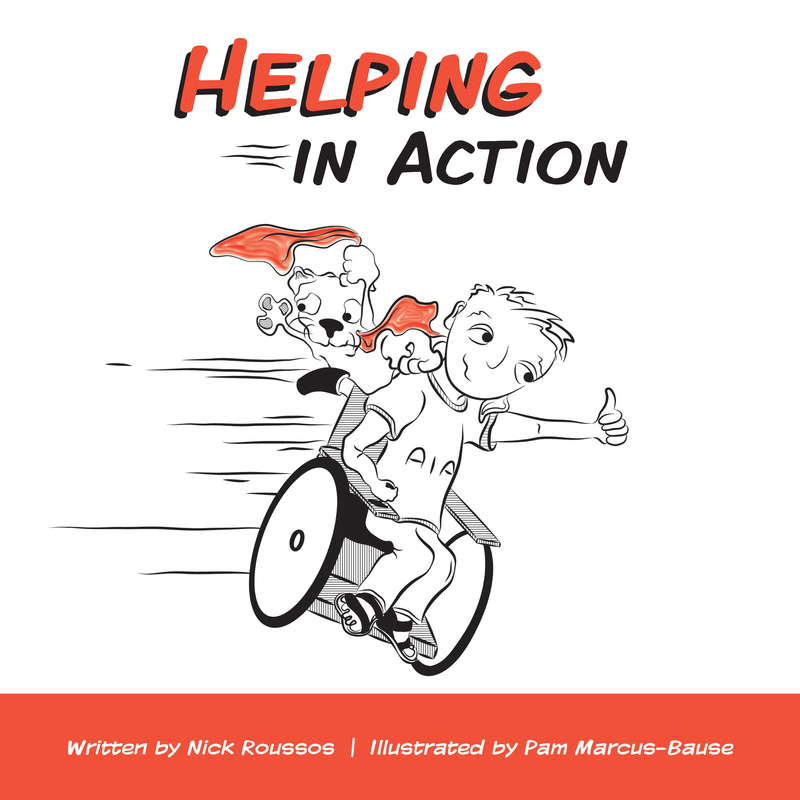 In his new book, Helping In Action, Nick will inspire you to believe that we ALL are meant to accomplish great things. And as you get to know Nick through his books, I am confident you will come to love him as we do. Buy Helping in Action, click here. When you purchase Awesome in Action products, you promote tolerance and respect for diversity in children at home and around the world. 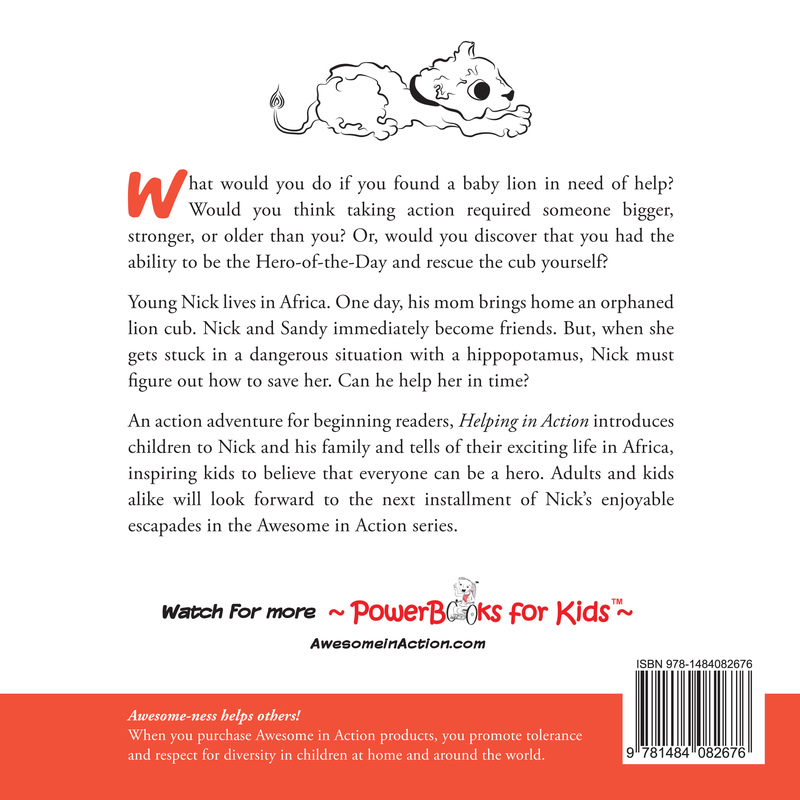 Introducing Nick's First Book from Starstream Productions, LLC on Vimeo. High Plains Pre-K Visit: Just like you. #GivingTuesday Help these Elves give Ability Awareness! What Animal Are You, Donor?